It was sporadically reported in the news a few days ago that the People’s Liberation Army (PLA) of China had managed to successfully land a military jet on the country’s first aircraft carrier, the Liaoning. This news is unlikely to have raised many eyebrows. It should have. The difficulty of building a sea-worthy aircraft carrier is only hardened by actually landing aircraft on the completed vessel. The art is a precise and daring one. Small miscalculations could be catastrophic. One need only look at a selection of videos on Youtube for proof of this. Many analysts predicted it would take several years for the PLA to master the full use of the Liaoning. They may still be correct, however the landing of the F-15 jet was a swift step in the right direction. Questions will now inevitably be raised again about the intensions of Chinese naval power. Over the past few years, the PLA has implemented massive spending increases, particularly in terms of modernising its outdated navy. Territorial disputes in the East and South China Sea, pirate attacks on precious oil shipments in busy sea lanes and the determination to counter US naval power in the Pacific are all good reasons for this rapid development. An aircraft carrier used to its full capability would certainly increase Chinese power projection at sea. Being able to refuel and launch jets and other military aircraft without recourse to dry land is a massive strategic advantage. However, has China sought to increase its power projection for defensive or offensive purposes? Shortly after the First World War, William-Forbes Sempill, a Wing Commander in the Royal Air Force, flew to Japan to help Britain’s most important Asian ally develop an air base. The Japanese had experienced a revival in militarism after the Meiji Restoration in 1868 and its leaders were not content with being on the winning side in the First World War. Bolstered by victories against the Russians and the Chinese, in addition to the successful occupation of Korea, the Japanese were intent on a period of military modernisation equal to China today. Having used Sempill’s help to develop a professional aeronautical infrastructure, the Japanese set about obtaining its first aircraft carriers, a vital step for an isolated island power seeking to project its imperial ambitions overseas. With concern amongst the British and Americans as to Japan’s intentions, Sempill was forbade to continue assisting his Asiatic masters. Nonetheless, the British airman persisted and played a vital role in teaching Japanese pilots the art of landing their planes on their new aircraft carriers. This treachery played a undoubtedly important part in the Japanese’s ability to attack Pearl Harbour during the Second World War and subsequently obtain several stunning naval victories in the Pacific. The rapid military modernisation experienced by Japan is mirrored by the development of the PLA today. When a nation experiences unprecedented advancements in technology and weaponry, the temptation and the confidence to test them out is often overwhelming. The Japanese showed this and, aided with an imperialistically ambitious leadership, it led to devastating consequences. China is unlikely to have the same designs on empire. However, the government and its PLA patrons have continually declared support for China’s far-reaching territorial claims. Should they fully master the benefits of the Liaoning, and continue their development of a fleet of indigenous aircraft carriers, then territorial designs in the South China Sea, for instance, could be realised. This in turn could threaten a backlash from the USA, still the predominant military power in the Pacific, with the support of its wary Korean and Japanese allies. There is nothing wrong with China modernising its navy; it is a fundamental right of any state to be able to best defend its territory and its interests. But in defining those interests, the line between defence and offense often becomes blurred. Whereas the Chinese may not match their Japanese predecessors in terms of martial ambition, their relentless drive to military superpower status brings with it inherent dangers. Jacob Zuma is trying to rally support for his re-election campaign to the presidency of the African National Congress (ANC) and, by extension, South Africa. He is not attending mass meetings or public debates, however. 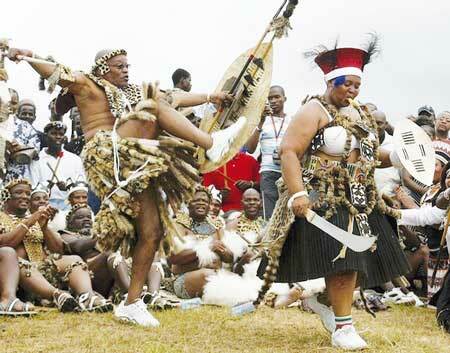 He his seeking spiritual support from his Zulu ancestors through a mixture of prayer and animal sacrifice. This is not the first time that Zuma’s traditionalist Zulu beliefs have made him seem out-of-touch to contemporary South Africans. He is, after all, an avowed polygamist with twenty-one children. Now, with his future as ANC leader in doubt, he has decided to enhance the publicity of his Zulu practices rather than seeking to cover them up. This is surely a big mistake for a man deemed by many to be clueless, corrupt and unable to bring stability to this permanently-divided country. Not that uniting South Africa’s most multicultural of populations is an easy or enviable task. The current miners’ strikes, reports of police brutality and political malingering are hardly new. Ever since Apartheid’s fall, the “new” South Africa of equality has foundered under the global expectations of hope and shared prosperity. In a country with an almost unique history – in which an already varied tribal landscape was subjugated by two antagonistic white powers and where subsequently a racial minority ruled the majority of the population with an unbounded repression – the need for a leader able to cross racial, ethnic, cultural and religious boundaries is tantamount. South Africa is in need of a secular leader. By secular I refer not only to the need to avoid exclusively aligning oneself with a particular religion but also with a specific ethnic group (indeed it could be argued that ethnicity has taken on a quasi-religious importance in South Africa anyway). Jacob Zuma, whatever else you may think of him, does not fit this definition of secular. This is not to say that it is Zuma’s Zulu beliefs that make him inappropriate; it is the fact that his convictions are so strong that they alienate a large proportion of South Africans who do not share his ethnic or religious background. 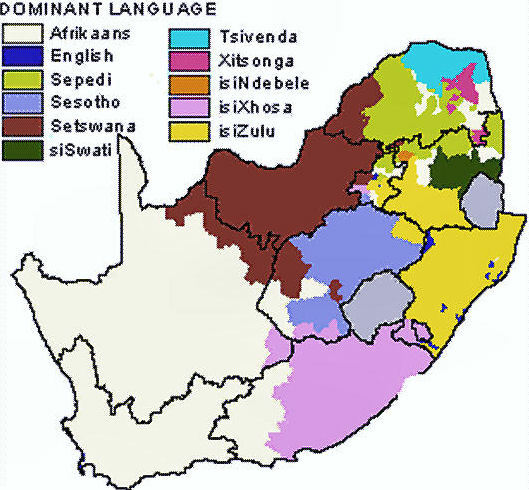 It would be similarly difficult for a devout Catholic or Hindu to rule South Africa, as it would be for a Xhosa traditionalist or a Boer nationalist. Ethnic and religious divides dominate South African society and only a strong ruler willing to forgo the sort of public favouritism Zuma revels in can hope to succeed. Of course, we must not forget the multitude of other problems facing any prospective South African leader; internal party corruption, nepotism, cronyism and political stalemate to name a few. But first there is a desperate need for an individual capable of representing the “rainbow nation” that Nelson Mandela so famously envisaged.